Corrin appears in Fire Emblem Fates game. Born in kingdom of Hoshido but kidnapped by Nohr at a young age, Corrin was brought up by Nohrian royalty. Descended from the First Dragons, Corrin has the power to transform into a dragon. 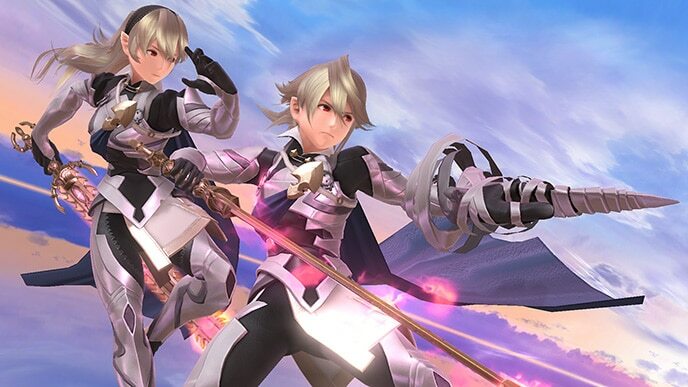 Compared to his fellow Fire Emblem fighters, Corrin is a breath of fresh air – he has a unique and powerful moveset that grants him many advantages. With an incredibly strong counter move that launches opponents upward and a mixture of tippers and balanced attacks, Corrin is definitely a worthy addition to your collection. His tilts are all quite fast, and each one launches its victim upwards for an easy up smash juggle startup. His smash attacks all have good KO potential, and Corrin can even immobilize opponents with his side special, Dragon Lunge. Unfortunately, Corrin suffers from many flaws – mainly in his AI. 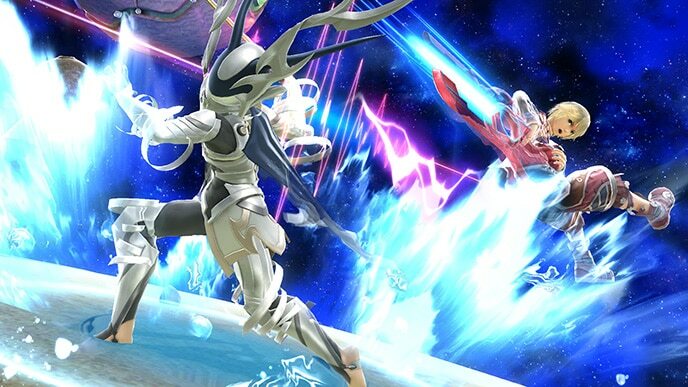 All three of his smash attacks have sweetspots at their tips – but Corrin’s AI makes no attempt to properly space itself, and often fails to make use of its tippers. As a result, he struggles to KO without relying on Counter Surge. Corrin also overuses his neutral special, Dragon Fang Shot, and tends to use his up special on-stage at random. Furthermore, although Corrin’s jab works well as a damage-racking tool, his AI doesn’t use it as often as it should. Finally, Corrin’s recovery is fairly lackluster, and he lacks the air speed some other characters have that help them return to the stage. While undeniably strong, Corrin’s amiibo struggles to properly come to fruition. Making him a powerful contender is likely to be an annoying task, but with hard work and patience, he can reach an extremely high potential. So ready your Yato, and make your choice! Neutral options: jab, forward tilt, up tilt, and down tilt. Corrin’s rapid jab is an extremely powerful damage-building move. Your primary option should be rapid jab, but at the same time, don’t doubt the power of Corrin’s tilts. All three of them knock their opponent upwards, and are great for juggling. Main KO moves: up smash, down smash, and Counter Surge. Corrin’s up smash and down smash attacks are his most consistent KO moves, with the former serving well as an aerial punish. In a pinch, his up and back aerials can net a quick kill, but as mentioned before, it’s best to set these two moves to low priority. Moves to avoid: Dragon Fang Shot. 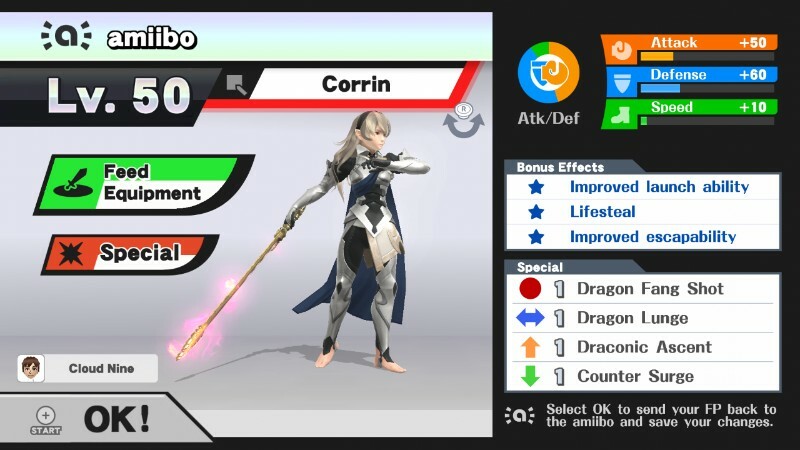 Overall, Corrin’s moveset is solid in terms of power, speed, and viability. But Dragon Fang Shot is definitely one to avoid – Corrin often gets into the habit of spamming it and using it at inappropriate times. Thanks to LiteSpeed for compiling Corrin’s information. 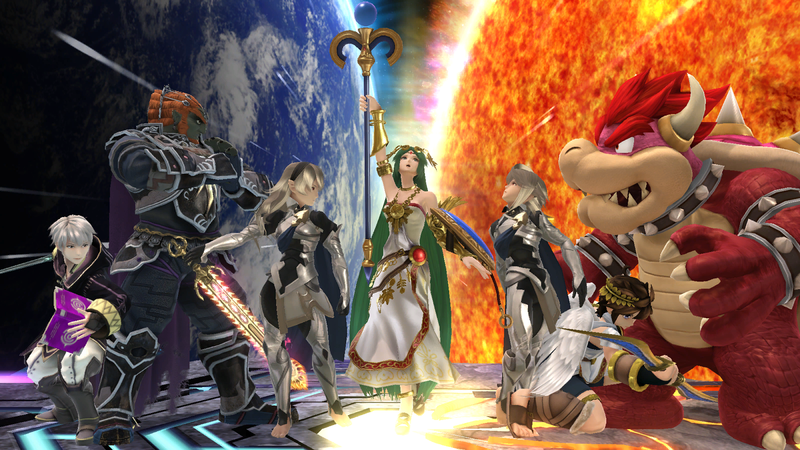 Images are courtesy of SmashWiki and the official Super Smash Bros. website.